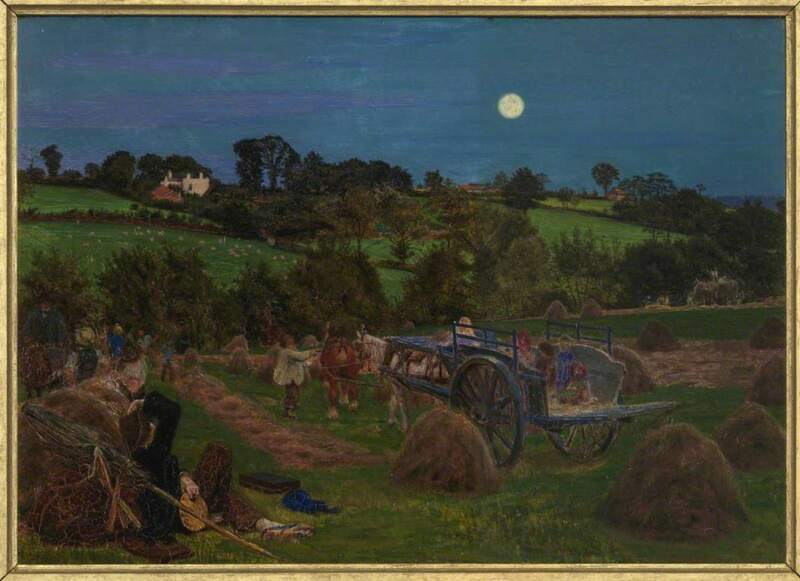 Apart from the representation of the artist, sitting in the lefthand corner gazing at the moon — the source of the light which bathes everything with such splendour — it is a busy scene. Indeed, the artist too still has his palette in his hand, and must have just finished his own work for the day. Julian Treuherz sees the completed painting as the "rural counterpart" of Brown's later and more famous Work (170).